There will be 18 countries competing in the men’s competition. Round one will be a seeding round used to determine two divisions. Teams have been split into 6 groups of 3 with each team to play the other two teams in its group in lightning match format of 2 x 15 minute halves. Based on the results of round one the top twelve teams will be placed in Division 1 and the remaining six will make up Division 2. The Revolution will take on familiar foe Canada Northwind in its first of two matches on Saturday, August 13th. The Revos will be looking to build up upon their recent success against their neighbors to the North. The 2010 edition of the 49thParallel Cup saw the Revolution defeat the Northwind by a final score of USA: 9.12.66 to Canada 5.2.32. Then in their second match of round one the Revos will take on the Peace Team. On the women’s side the Freedom do not know who their first opponent will be yet. However they do know they will be competing against Papua New Guinea, Canada, Ireland and an Australian multicultural team for the right to be crowned the first women’s International Cup champions. 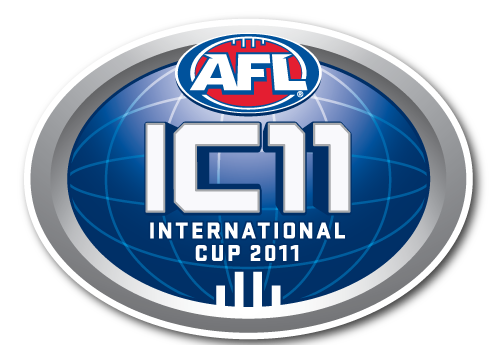 The first 11 places were ranked on previous performance in 2008 while 12 to 18 were ranked at AFL discretion given they are either new teams or at the beginning of an in country development program. Teams split into 2 groups - they will then play each team in their pool + 1 cross over game from the other pool. The two highest ranked teams after all round matches, based on pts and % qualify for Division 2 Grand Final. Given there is no International Cup history, rankings were random and drawn out of a hat.